Chloe is only four years old but already loves horse riding and wants to ride alongside her big sister. However Chloe has cerebral palsy and cannot walk. She needs to improve her core strength if she is to ever walk and horse riding is a good way of achieving this, but she needs somebody to walk with her supporting her while she rides. This is where Remap volunteer Stephen Boulter stepped in. He was asked by Chloe’s mum if Remap Coventry & Warwickshire could help, so came to see Chloe. 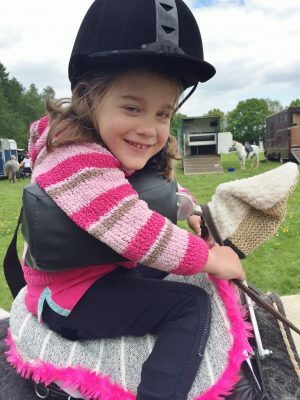 His brief was to devise a piece of equipment that would enable Chloe to ride unassisted, providing safe and effective support whilst promoting the use of her core muscles. It had to enable Chloe to be released quickly and easily and needed to be durable, weatherproof, easily cleaned and lightweight. 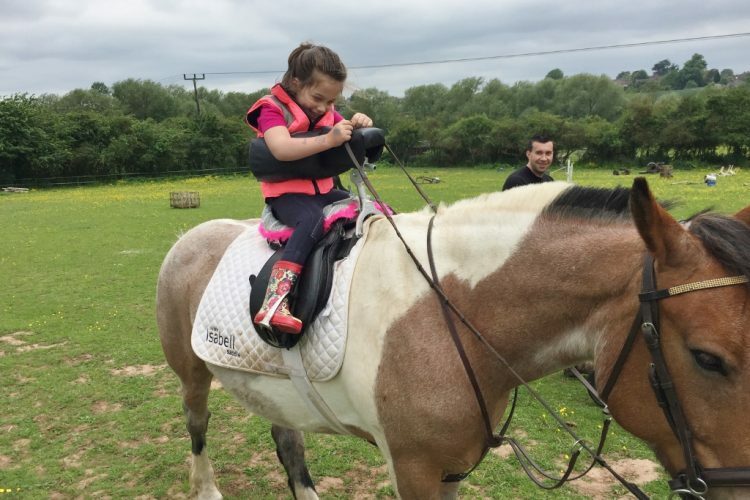 Most Remap volunteers love a challenge and Stephen is no exception – he designed and made a special saddle support for Chloe that keeps her safe and in control of the horse yet promotes the use of her core muscles. Chloe is now able to ride a horse by herself and just loves it (as you can tell from her picture!) alongside her sister and even enter competitions.